This lovely warm, modern house has stunning Lake and Mountain views. 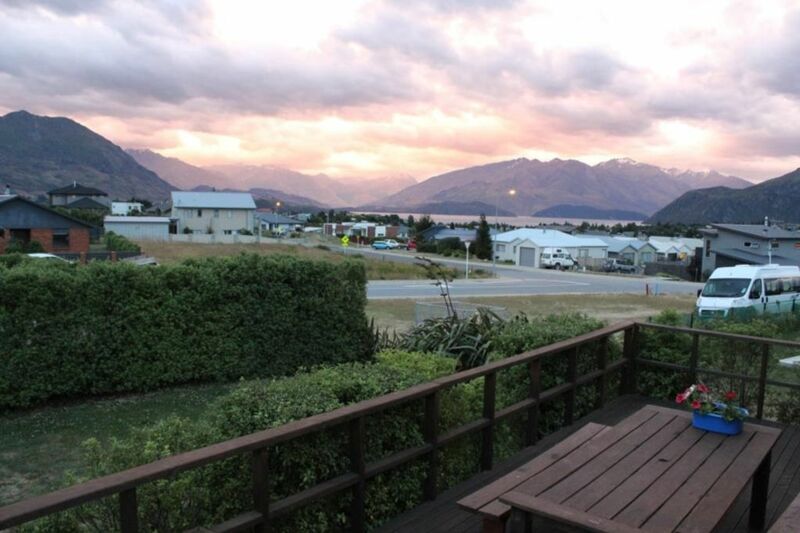 It is located up a private right of way only 10 minutes walk from central Wanaka. This light and airy house is heated with a heat pump and has a wonderful deck. Ensuite in master bed room, main bathroom has full bath and shower, seperate toilet. Garaging for one with plenty of off street parking. Easy access to Sticky Forest mountain bike tracks, close to Eely point for launching boat, recommend 4WD as this is across a beach, heaps of trailer parking. Linen can be arranged at $20 / person. Please contact us. Service / Inspection charge $40 / stay. Easy access with plenty of off street parking on a quiet street. 10 minute walk to town. Fridge freezer and additional fridge in garage. four bicycles available for use. Pretty standard. A bit far out from town. Average. Not amazing but not terrible. Kids beds were in shocking condition. Sorry you feel that way. Can you please elaborate on shocking condition so I can possibly improve the situation. Thank you. Nice ground floor layout with a great patio view of Lake Wanaka and the Mountains. Kitchen is fully equipped and there's lots of yard space for games. Great views and quiet location. Well set up and comfortable. Lovely views and well kept warm house - a perfect base for the week.